The Newport 360-45 Angle Bracket is slotted and has two ribs cast in for rigidity. It will hold stages and other optical components at a 45 degree angle. 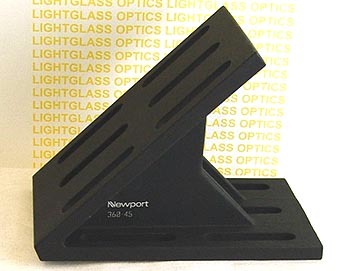 Made of Black-Anodized Aluminum, it will accomodate the mounting of most of Newport's stages or other optical components.